From informal gatherings to black-tie affairs, the Science Centre is the most spectacular venue in Regina. Our facility boasts two theatres, two boardrooms, a 5,000 square foot hall, and our fabulous exhibit floor. Each of these spaces can be used for your meeting, party, dinner, dance, or wedding. The Saskatchewan Science Centre is a licensed facility and is happy to provide bartenders for your event. The wonderful Skye Cafe & Bistro is located on our premises, and we can arrange catering through them on request. Use the Science Centre Exhibit Floor for business functions, staff parties, or creative retreats. Home to more than 180 hands-on exhibits, the Exhibit Floor is great for kids of all ages. Dress down to learn, play, and explore with your family, or dress it up with elegant dining next to the hot air balloon or our newest exhibit - Building Connections. Seating 100 people and equipped with a 102" screen, the Small Theatre is perfect for private movie viewing, video gaming sessions with your friends, classes, lectures, training, and more. The Saskatchewan Science Centre Boardroom seats 12 people. Equipped with a classic boardroom table and seating, this room can also accomodate video projectors for your presentation and meeting needs. This 25 seat boardroom overlooks beautiful Wascana Park. 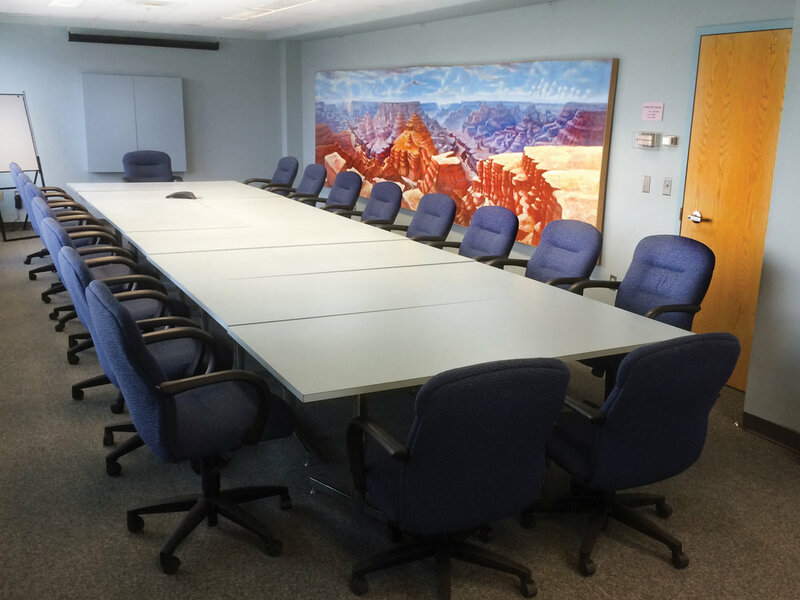 Featuring conference call equipment, projectors, and a exterior patio, this is a great room for strategic planning sessions, training, large board meetings, and so much more. Have your food catered, or take a break and watch one of our incredible IMAX 3D documentary films. Towering 52' tall and 73' wide, the screen in the Kramer IMAX Theatre is the largest movie screen in the province. With more than 10,000 watts of 6 channel, 4 way surround sound, this space will bring your event to life! Use the screen to view an IMAX 3D movie, watch a film from the Criterion Collection, or as a venue for your presentation, training course, or fashion show. This space also includes the IMAX lobby featuring ample seating and room for cocktails, refreshments, or food. Named for one of the founders of the Saskatchewan Science Centre, the "LWJ" is a 5,000 sqaure foot exhibition hall. Infinitely configurable, the space can be used for dances, concerts, fine dining, and training. It's even been used as a movie set! Talk to us about how we can make this space work for you. Our LWJ Gallery is the perfect blank slate to create your dream event. Great food and good fun can be combined on our Exhibit Floor. Beautiful views of Wascana Lake and a spacious room for your meeting. For kids, grownups, or both, our Exhibit Floor is highly transformative and full of fun. A great place for smaller meetings. The most unique dinner venue you've ever been to! Large enough to host both the ceremony and the reception, our LWJ Gallery can make your dreams come true. An intimate wedding reception in our LWJ Gallery, complete with head table. Our Stage Shows will thrill and delight audiences of any age! A gala dinner in our LWJ Gallery. Any number, any configuration. We're here to make your event in our LWJ Gallery as perfect as can be. Welcome your guests in style in our Kramer IMAX Theatre Lobby. Treat your guests to the biggest screen in the province! Pick from any of our Now Playing films, or our large library of non-IMAX films.